Emoji seems to be a hit these days. They are simply smileys for electronic device messaging and web pages. They are comparable to emoticons. A certain number of Emoji has been integrated into Unicode as well. This has made it possible to use it in phones and internet communication. It is particularly popular in SMS and texting. Emoji allows users to communicate with one another without the use of words. They can mean so much without using letters or alphabets. They have seen a rise in popularity and there are Android devices and versions that have integrated Emoji Keyboards in them. This post deals with the activation of Emoji Keyboard for your Android phone or handheld device. 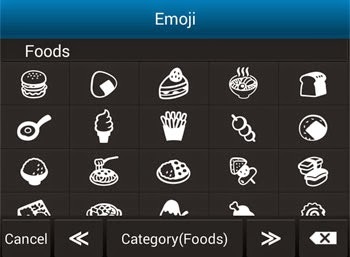 The Emoji Keyboard of Android has black and white Emoji grouped under different categories. 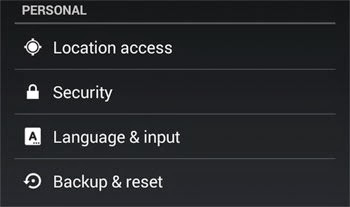 Go to "Settings" of your Android device. Click on "Language & input". Under "Keyboard & Input Methods" you will find several keyboards that you have installed. In that list find "iWnn IME" and activate it by clicking on the check box. While typing the on-screen keyboard appears. As you being to type tap and hold on space bar. An option will be displayed to "Choose input method". Click on the option that says "Emoji iWnn IME". The Emoji on screen keyboard will be activated. To deactivate click on the "Cancel" key. Remember, since all phones don't have the same version of Android, you might experience slightly different settings layout to activate Emoji keyboard. If your phone does not have inbuilt Emoji keyboard support, there are apps in the Play Store to enable this feature on your phone. Emojidom Emoji & Fun Smileys: An app which allows you to use colorful Emoji. You do not need to install a keyboard for this one. There are more than 2000 Emoji that comes with this app. You can also create your custom Emoji with your own images. Go Keyboard Emoji plugin: A plugin for Go Keyboard, a very popular Android keyboard. You must have this keyboard for this plugin to work. After you install this plugin app, you can easily communicate using Emoji.